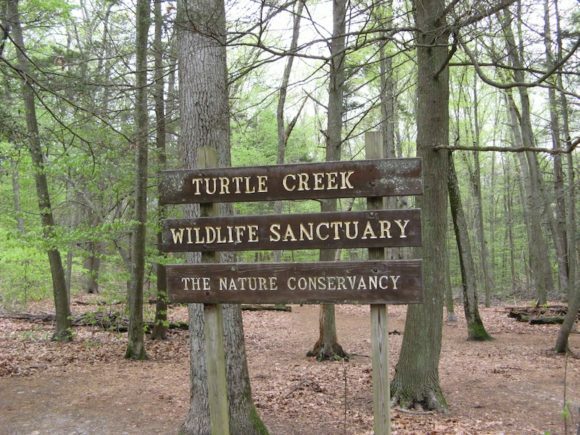 One of the coolest places to hike on a warm summer day, is the 92-forested-acres known as Turtle Creek, owned by The Nature Conservancy. Readers have a chance to experience the hike on Saturday, Aug. 12, starting at 9 a.m. The creek winds through extensive wetlands to the south to a narrow strip of beach along the Connecticut River. Higher ground to the north borders South Cove in Essex. This easy to moderate hike will be led by Essex resident and naturalist Phil Miller. Turtle Creek goes back a long way; Native Americans drew water from the spring off the main trail. Later, Hayden Point, named for a prominent 19th-century Essex family, was used as grazing land. The pond was created for ice production. The bulk of the preserve was donated to the Nature Conservancy by ex-Governor Chester Bowles. Leashed dogs are welcome on this hike. Access is off Watrous Point Rd. (Rte.154), Old Saybrook. Bad weather cancels.